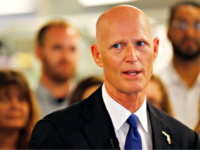 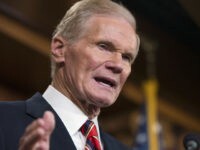 A new poll of 696 active Florida voters shows Republican Rick Scott leading Democrat Bill Nelson by five-points in Florida’s United States Senate race. 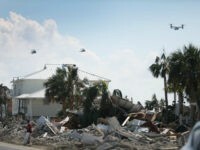 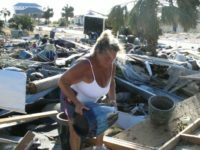 Panama City, Florida, Sheriff’s Major Jimmy Stanford said that deputies have arrested about 10 looters every night since Hurricane Michael made landfall. 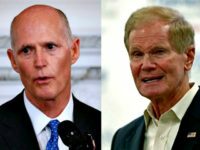 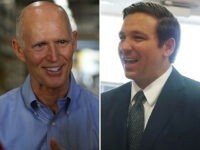 According to the latest poll, Republicans are ahead in early voting in Florida’s closely watched U.S. Senate and gubernatorial races. 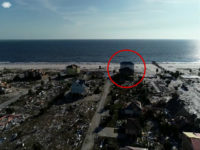 Dr. Lebron Lackey and his uncle Russell King say they built their Florida “Sand Palace” to “survive the big one” — and it did. 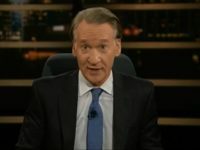 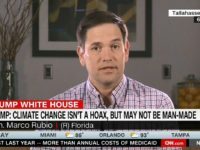 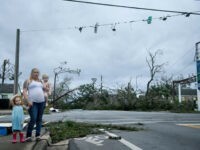 “Well, the weather has been a factor, and yet they say that the worst hurricanes were 50 years ago if you can believe it,” Trump said. 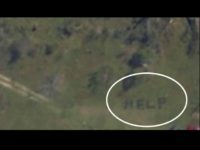 A Florida woman helped rescue family members after finding satellite images showing that her relatives had spelled out “help” using downed tree trunks on their Youngstown, Florida, property ravaged by Hurricane Michael. 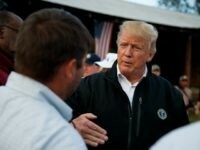 President Trump marveled at the destructive power of the storm, noting that some houses were swept off the foundation by flooding and powerful winds. 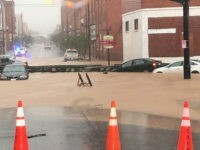 Parts of Danville, Virginia, are submerged in floodwaters after Tropical Storm Michael brought heavy rain to the area Thursday afternoon. 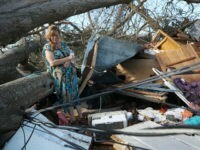 The president called the storm “unbelievably destructive and powerful” but noted that it moved quickly. 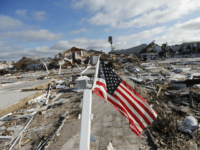 Aerial footage shows the extent of Hurricane Michael’s eye-popping destruction after the storm slammed Mexico Beach, Florida, with 155 mph winds Wednesday. 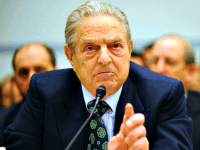 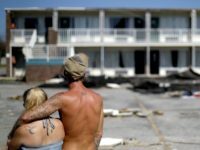 At least two people were left dead in its violent aftermath. 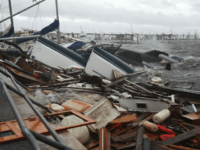 Hurricane Michael wreaked havoc on Panama City, Florida, Wednesday, bringing with it catastrophic winds and flooding that destroyed any structure in its path. 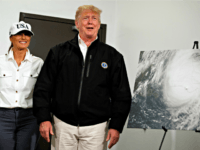 Trump immediately offered his thoughts and prayers for the people suffering in the Category 4 level hurricane. 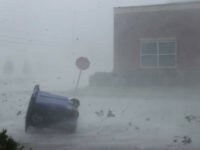 Shocking footage of Hurricane Michael slamming Panama City, Florida, is making the rounds on social media on Wednesday. 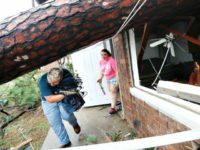 Videos captured by meteorologists and storm chasers show potentially catastrophic winds damaging structures across the area. 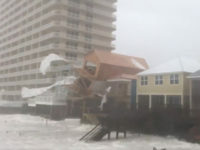 Marc Weinberg, chief meteorologist of Fox-affiliate WDRB, shared footage of a Panama City Beach home collapsing as Hurricane Michael barrels toward the Florida Panhandle at deadly speeds. 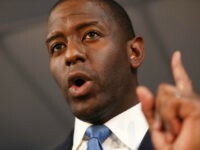 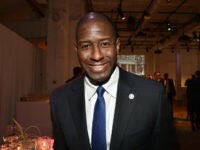 Andrew Gillum accused President Trump of putting “partisanship” over “leadership” as Hurricane Michael barrels toward the Florida Panhandle. 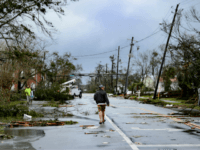 Hurricane Michael slammed into the Florida Panhandle with terrifying winds of 155 mph Wednesday, splintering homes and submerging neighborhoods before continuing its destructive charge inland across the Southeast. 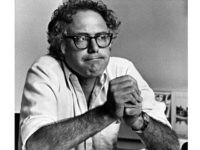 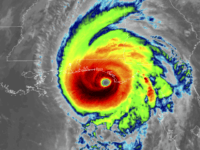 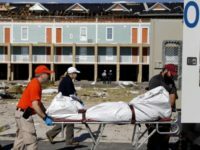 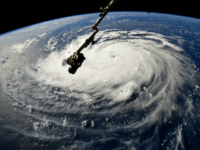 It was the most powerful hurricane to hit the continental United States in nearly 50 years and at least one death was reported during its passage.